If you're in the US and have so far been patiently (or not) waiting for the Coral Blue color version of the Samsung Galaxy S8 or S8+ to finally reach those shores, your wait might be almost over. According to a new report allegedly coming from a reliable source, the two flagships will be offered in that hue in the States as soon as tomorrow. 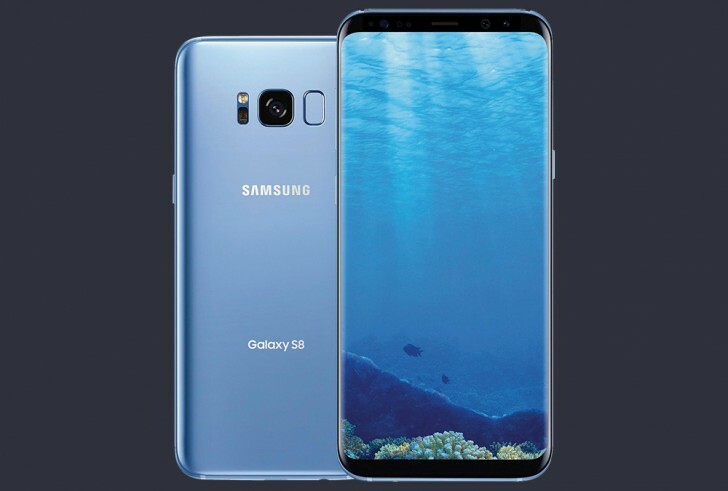 You will only find the S8 and S8+ in Coral Blue at Best Buy, which has reportedly nabbed an exclusive on this color. The retailer will sell both carrier specific and unlocked models, to please as many people as possible. You'll be able to pick up a Coral Blue S8 or S8+ for Verizon, AT&T, and Sprint. Internally, Best Buy apparently hasn't set a unified street date for the hue, but told stores to begin sales upon arrival - and that should happen tomorrow, at least in some locations.